The Business, Innovation and Skills Committee, of which I’m a member, questioned Sports Direct boss Mike Ashley about working practices in his company which were exposed by the BBC. I asked him about the extensive use of abusive limited hours contracts in Sports Direct and why he couldn’t employ more staff on permanent contracts. Committee members also pressed him about staff being effectively paid less than the national minimum wage, the “six strikes and you’re out” system operated at the Shirebrook warehouse, why ambulances had been called there 76 times in two years and other issues. We’ll be following up on the issues raised both in relation to Sports Direct and the growing use of abusive employment practices. You can read a full transcript of the session here (Mike Ashley appears after Q148) or watch it here. Q251 Paul Blomfield: I wanted to pursue the same issue a little bit further, in terms of your employment model, if that is okay? You are a 24/7 business, 52 weeks a year, very successful with a constant flow of work. We heard from Transline that last year the people that they placed with you worked for 39 hours a week, which is a standard working week. You have described these as amazing, hardworking people, who generated all the wealth of the company. Why do you not give them a permanent contract? Mike Ashley: Shirebrook is one site. What we then do is we say, ‘We cannot possibly do this in-house ourselves, so we need to go out to agencies”. Q252 Paul Blomfield: Why can you not do it in-house? Hundreds of organisations do. Why can you not? Mike Ashley: Hundreds of organisations do not do it. Paul Blomfield: Yes, they do give permanent contracts, with respect. Mike Ashley: No, with respect it would be amazingly difficult, nay impossible, to have grown as we have grown in the last 10 years and taken all the people directly on ourselves. I am telling you we could not have done it. I am being honest with you and I am saying that we could not have done it. It would have been physically impossible. No one could predict that internet growth. It came out of nowhere, literally nowhere, and it requires 10 times the people that retail does. The sensible thing to do is then to go out to professionals and say, “What is your expertise? You employ people. That is what your company does for a living. You must be very good at it and so must you and so must you. Okay, let’s take those people and get those people to do it.” You are going to say to me, any minute now, “But if you employed them direct, Mike, you would save money.” So why would I not employ them direct? Why would I pay the middle me? Because it would have been physically impossible for us to do it ourselves. They make money out of Sports Direct. Q253 Paul Blomfield: What we are trying to do is to understand the culture of your organisation and how you manage growth. Lots of organisations have grown and given employees permanent contracts. Why is it so difficult for you? Mike Ashley: I have given a lot of people permanent contracts. You are not being fair. Now you are not being fair. You are trying to twist what I am saying, and that is not fair; that is why I fear coming to things like this, because you are trying to put words in my mouth and you are trying to twist what I am saying. I am telling you that it was physically impossible over the last 10 years to have done what we have had to do at Shirebrook with that amount of people unless we went to external agencies who were professionals. What you can criticise me for, and I will take it, is things like bottlenecks that have appeared that are unacceptable, and some of the things that you have talked about are unacceptable, and some of the things that Peter said are unbelievable. I can take those criticisms and I can deal with it, but I am not playing a word game with you where you try to twist the reality. Please do not, Paul, because this has so far been positive and now you are making it negative. Please. Q254 Paul Blomfield: I was asking the question: what was special about Sports Direct that did not enable you to grow by offering permanent contracts that other companies would? Mike Ashley: I have said that it was the internet. I have said that the internet growth was never ever envisaged 10 years ago. It is extremely, extremely labour-intensive. I am not being funny: do you want me to go through how labour-intensive an order is from when it gets on the computer screen, a sheet being printed, and how you get the orders together? How do you pick an order in a warehouse that size for one person? How? Think about it. It is not mechanised. How do you do it? You cannot send one person out to pick your order. They would come back an hour later. You cannot do it. It is impossible. You have to accept the internet growth was a phenomenon that none of us could have allowed for. You have to accept-or I have to accept, not you, sorry-that Sports Direct has made some mistakes. You have to accept that as well. We have to look to the future. I have invited you guys to come anytime you want now. I have even offered to come back in a year if you really want me to, and let’s do some measures. I will not have them all right. It is impossible that I can get everything right. I am one human being. So stop it, Paul, please. Let’s keep this positive and let’s keep rolling forward. 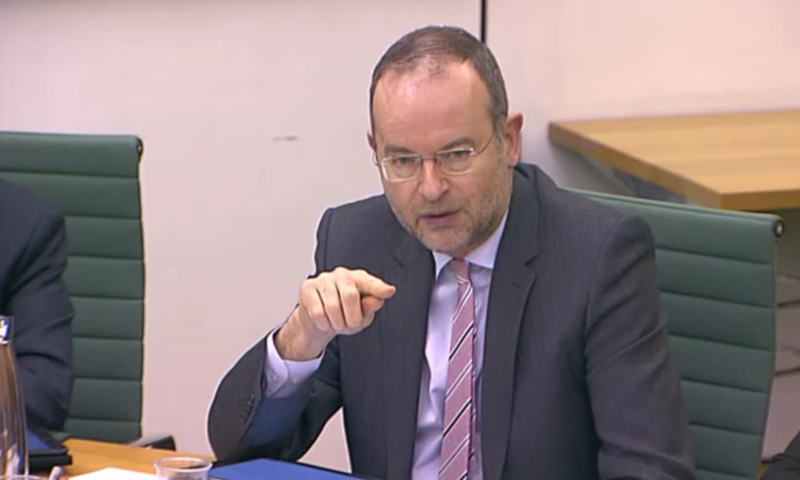 Q255 Paul Blomfield: I am trying to ask honest and straightforward questions. Let me ask you another one. We talked to Transline earlier. They shared with us that the nature of the contracts that they offered have been discussed with your company because, obviously, you are giving them a big contract. People say one of the advantages of zero-hours contracts, which personally I do not see but it is argued in their defence, is that it gives flexibility; Transline employees working with you do not have the flexibility of turning down work that is offered. Is that reasonable? Mike Ashley: If it is true, it is not reasonable, is it? Paul, you can answer your own question. If it is unreasonable, it should not be happening. Q256 Paul Blomfield: So why did you agree that contract with Transline? Mike Ashley: I do not look after every single thing that goes on at Sports Direct, Paul-please, please. Q257 Paul Blomfield: Is this not fairly fundamental? Mike Ashley: Do you know what is far more worrying? What Peter said. That bothers me a lot more than this. This is a process of growth and the growth has been too big, and you will take the odd pace backwards to go two paces forwards. It is impossible to be perfect. Paul, you are trying to pick on things and make out, “Obviously that is terrible, and this, and this”. Paul, some of that has been unavoidable and some of it has been avoidable. I want to concentrate on the stuff that should be avoidable. We have to be fair and balanced. Otherwise what happens is that I am going to clam up. I am going to go back to all my advisers and everybody else who said, “Give one-word answers. Do this. Do that. Do not do this. Do not discuss that. Do not broaden things.” No, I am not listening to what they say because I cannot be housetrained. That is what they say about me. Keith Bishop: You have had no media training for this today. Mike Ashley: No, I have had no media training. How do you media-train me? Keith Bishop: It is impossible. Mike Ashley: I am going to put my foot in my mouth and I am going to say what is in my heart and I am going to be honest. So, Paul, please be positive-please. Mike Ashley: And I am trying to be. Q258 Paul Blomfield: Could I just ask one last question? You say that you are not aware of the nature of your contracts. Q259 Paul Blomfield: However, you put the people that you employ at the very heart of your business and you say this is the most important thing to you. Q260 Paul Blomfield: Should you not be aware of the contracts under which they are employed? Mike Ashley: All of the contracts, everywhere, with everybody, around the world? Paul Blomfield: No, your subcontractors in Transline. Mike Ashley: We have an enormous amount. We have a big division of people to absolutely look after the relationships with the agencies. I cannot actually be responsible for every single thing that goes on in Sports Direct. I cannot be, Paul. I cannot be. I cannot be. It cost us more because we pay the agency than if we took them on part-time. Therefore, you would think all round that standards would be higher, not lower. It is simple economics. Q261 Paul Blomfield: Is this not a fundamental issue? Does it not go to the heart of the issue: that you have a duty of care to the people who have built your business? Mike Ashley: I agree with you. Q262 Paul Blomfield: Are you not therefore negligent in not fulfilling it, if you have no idea of the terms under which they are employed. Mike Ashley: “No idea”. Okay, let’s use the words “no idea”. That is not fair.